57% of people believe toast tastes best with jam. 42% believe toast taste best with peanut butter. 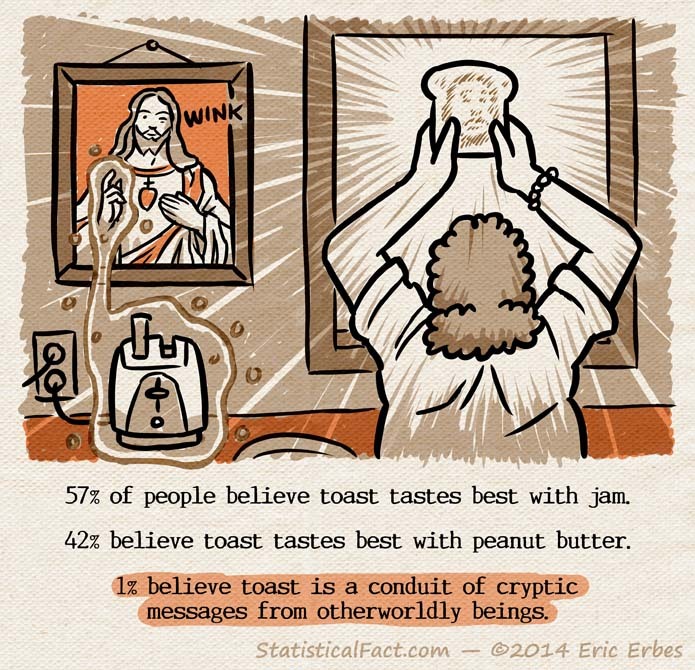 1% believe toast is a conduit of cryptic messages from otherworldly beings.